“The reserved seat provision has always been used as a vote bank by the political parties and in no way is adding value to women empowerment”, said Sigma Huda. She recommended that this reserved seat provision should be removed from the Constitution entirely. In her view, instead of this there can be certain percentage of quota for women in order to ensure a minimum number of seats are occupied by women in Parliament. Moreover, women should be provided with more logistics and financial support to participate in direct election. The election to the reserved seats of the 11th parliament, will be held on 4 March next of 2019. According to the proportional representation in parliament, Awami League will get women MPs from 43 reserved seats, Jatiya Party from 4 seats, BNP from one and others will get the remaining two seats. 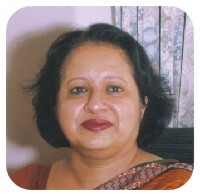 Sigma Huda is a Bangladeshi lawyer and she served as a United Nations special rapporteur on human trafficking.